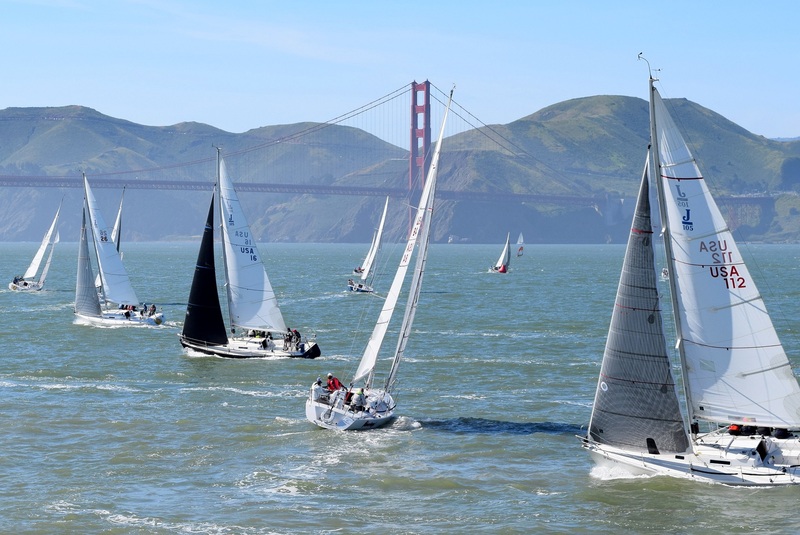 On Saturday, 21 J105s lined up along with the J111’s, Express 37s, J120s, J70’s and Express 27s to contest the San Francisco Yacht Club’s annual Summer Keel Regatta. 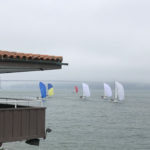 The weather over scenic San Francisco Bay was unsettled and the wind models promised sporty conditions for later in the day, with choppy wave state due to a weak early ebb which built throughout the day. The Olympic Circle venue is famous for sending at least half the fleet in the wrong direction in any race, but the weather gods conspired to balance the sides, with faster boats from the left and right converging at the weather mark within a few boat lengths. Nonetheless Donkey owned the course in the first two races taking two bullets, with Godot and Blackhawk taking a second place each. As wind strength built for race three, Godot found their legs and took the bullet, Donkey took fifth, behind Mojo, Blackhawk and Akula. Sunday promised lighter conditions, and early flood which kept the chop suppressed in the 15kt to 18kt breeze. Blackhawk banged the left hard and fought Godot and Donkey into second and third places, setting up a commanding lead into the final race. The 1FA boat sealed the deal with a demonstrative bullet, winning the regatta by 5 points from Blackhawk, Godot, Akula and Arbitrage. Don’t forget to sign up for the upcoming Aldo Alessio regatta on August 19th and 20th weekend. 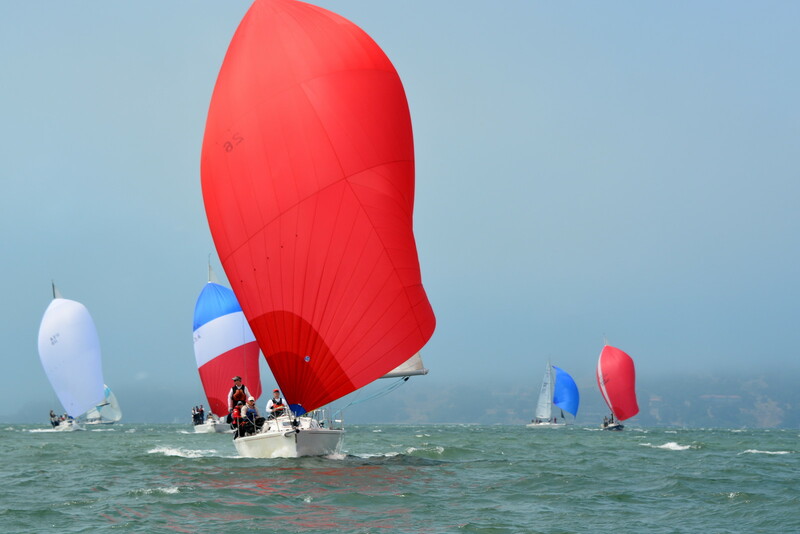 The Sausalito YC J/105 Invitational on July 22-23 2017 brought 19 J-105’s out of their summer slumber for a weekend of heavy air racing – typical SF Bay summer conditions with winds in high teens and building into the 20’s, with gusts into the mid-30’s on Sunday! The Race Committee set up the starting area off the west face of Alcatraz and the windward mark toward mid-span of the Golden Gate Bridge. With a significant flood tide on both days, many boats were doing dip-line starts. The PRO managed to cant the line so that competitors had to make a decision – start at the pin, closer to the relief along the city front, or start 15-20 degrees upwind toward the signal boat and hope that was enough to outweigh the extra time spent in a foul tide. Once the fleet hit the city front the decision was reversed, tack back into the middle of the Bay on lay line, fighting more current, or sail extra distance in the better water. With such a heavily favored side of the course upwind there was a premium on clear lanes and the ability to tack when desired, leaving many boats no choice but to over stand the weather mark. 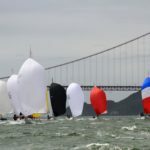 Conditions Saturday were classic San Francisco summer, 15-25 knot wind with fog rolling in and significant ebb chop in race 3. The finish to race 1 proved to be one of the more exciting and critical moments in the regatta. Arbitrage, Blackhawk and Godot all came into the downwind finish overlapped, slightly above lay-line for the left (pin) end of the line. With the heavy flood tide and breeze near 20 knots, a late decision by Godot caused all three to over-stand and started a chain reaction of them jibing and broaching, leaving the tide to take them across the finish line. Both Arbitrage and Blackhawk protested Godot for not providing room to finish and the protest was scheduled for Thursday. After two more races, Blackhawk held a 3 point lead over Arbitrage and Godot, pending the outcome of the protest. 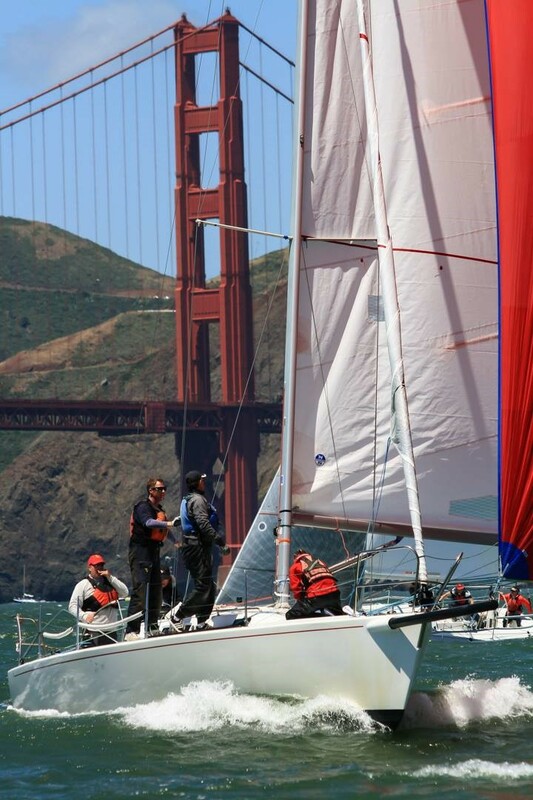 Winning their first regatta of the season, Adam Spiegel and the crew of Jam Session clinched the SFYC June Invitational with 16 points. Sailing with Adam were Sydney Green, Ben Pedrick, Chris Tholstrop, Christos Zalidis, Seth Besse and Will Sandford. Racing was classic circle fare with winds pushing into the 20s at their peak, and the J/105 fleet pushing tactical barriers at times. In fact, a collision between Donkey Jack and Blackhawk resulted in Ryan Simmon’s team borrowing Roxanne (thanks to owner Charles James) on Sunday. Team Blackhawk led the regatta up until the final race but ultimately finished 2nd with 18 points. Mojo, Jabberwocky and Godot finished close behind with 30, 32 and 37 points respectively. For regatta results, go to https://www.regattatoolbox.com/results?eventID=CkCysOTrAn. Note: Each competitor’s top 5 finishes have been applied to the Series Standings (consequently, please disregard the standalone regatta scores for the event here on the website). 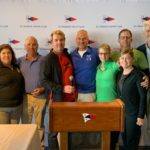 Bruce Stone & Nicole Breault and their team on Arbitrage – Bill Higgins, Marc Acheson, Phillip Berner, and Neil Weintraut on day one and John Horsch on day two – posted their third regatta win of the 2017 SF Bay season by topping the 21 boat J/105 fleet in the San Francisco Yacht Club’s Resin Regatta on the Berkeley Olympic Circle. The Race Committee waited out the light early northerlies for the westerlies that kicked in almost on schedule around noon, providing great racing in flat water. 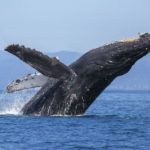 Competitors enjoyed warm winds generally in the 13-16 kt range each day with gusts to 27 kt late Saturday and 18 kt on Sunday. Starting Sunday in third place, Arbitrage posted two bullets to wrest the lead away from Rolf Kaiser/Shannon Ryan’s team on Donkey Jack, with Phil Laby’s Godot taking third and Adam Spiegel’s Jam Session in fourth. Major drama for several teams on Saturday was trying to get out of the city-front marina near the St. Francis YC in San Francisco, as the tides were at record lows and Arbitrage was fully stuck in the mud at its slip, while Jam Session ran aground at the exit to the harbor. Along with Perseverance, they waited for the water to rise and were then able to leave, just making it to the starting area across the bay. J/Fest San Francisco was held at St. Francis YC on April 1-2, 2017, with 21 J/105’s on the starting line looking for the wandering river of spring run-off ebb that snuck through the weak flood tide. Heading out to late ebb away from the shore was sometimes the ticket to the fast lane, and later in the tide cycle footing to the city front brought some relief, though some boats won both sides and arrived together at the top mark. Scoring a consistent 4, 4, 4, 5, 3 for 20 points, Bruce Stone and Nicole Breault’s Team Arbitrage won by two points over Jeff Littfin’s Mojo and Ryan Simmons’ Blackhawk, with Mojo earning 2nd on the tie-breaker, followed by Adam Spiegel’s Jam Session and Theresa Brander’s Walloping Swede just one point further back with 23 points. 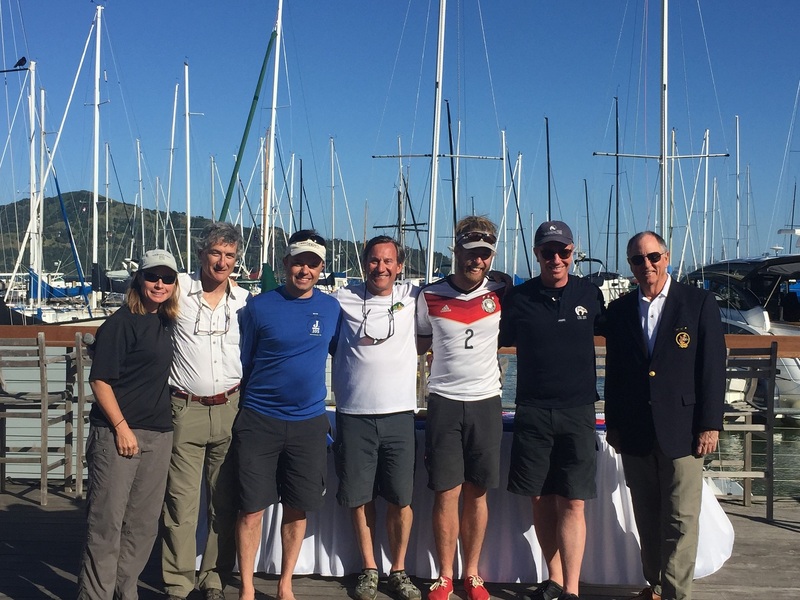 Said Stone: “This was an amazingly close regatta – five boats separated by three points! In fact, including Rolf Kaiser/Shannon Ryan’s Donkey Jack with 25 points, each of the top 6 boats were in contention to take the victory based on the last race. This was also the first time on the podium for Theresa Brandner and we were thrilled to see her progress. 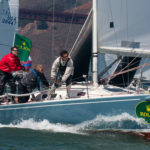 The SF Bay fleet had 20 entrants on the starting line for each of the mid-winters, with several new owners, and over 20 entrants in the Spring One Design and in this J/Fest, so that bodes well for the vibrancy of the class.” In winning SF Bay J/Fest, Stone and Breault celebrated their second win of the season, and look forward to competing in other J/Fests. On their calendar are J/Fest New England in Newport RI in August, and J/Fest Southwest in Galveston in October. 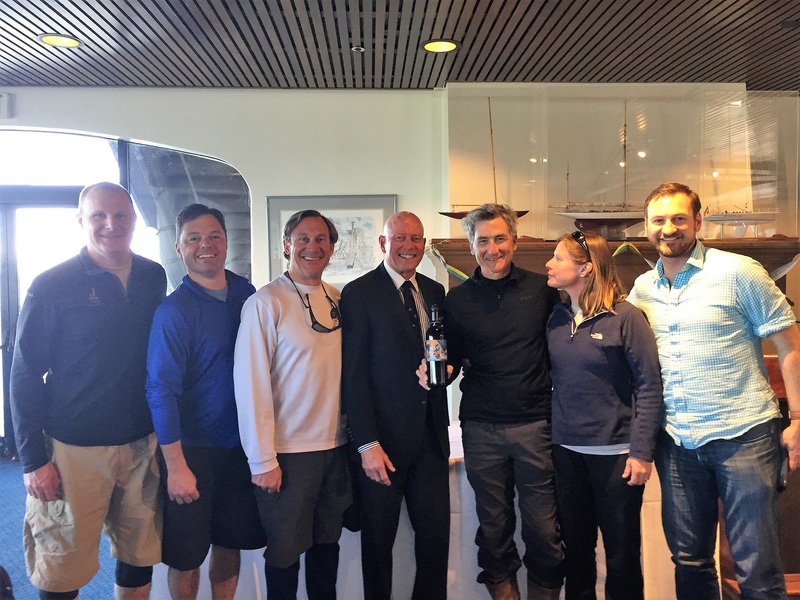 Congratulations to Philip Laby and the Godot team on their win in the Regattapro midwinter series. Jam Session completed the winter events in second place and Charlie Abraham’s Javelin took third.